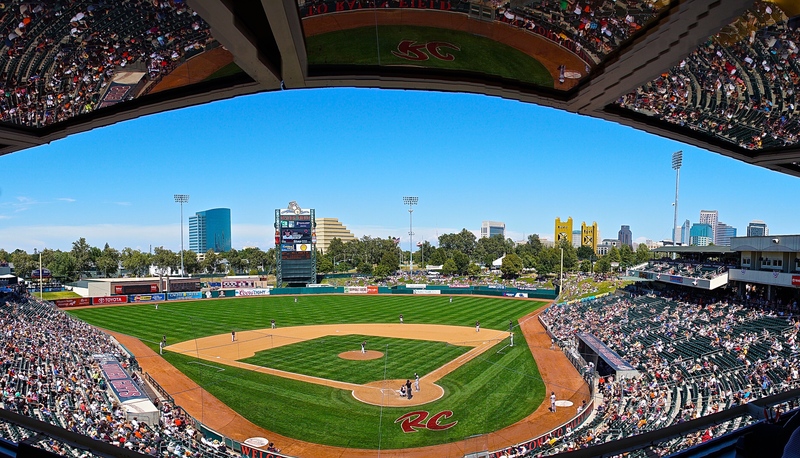 SACRAMENTO, Calif. – 9,447 gathered at Raley Field on Memorial Day to watch as the Sacramento River Cats welcomed the Nashville Sounds (Oakland Athletics) to West Sacramento for the first time in two years. 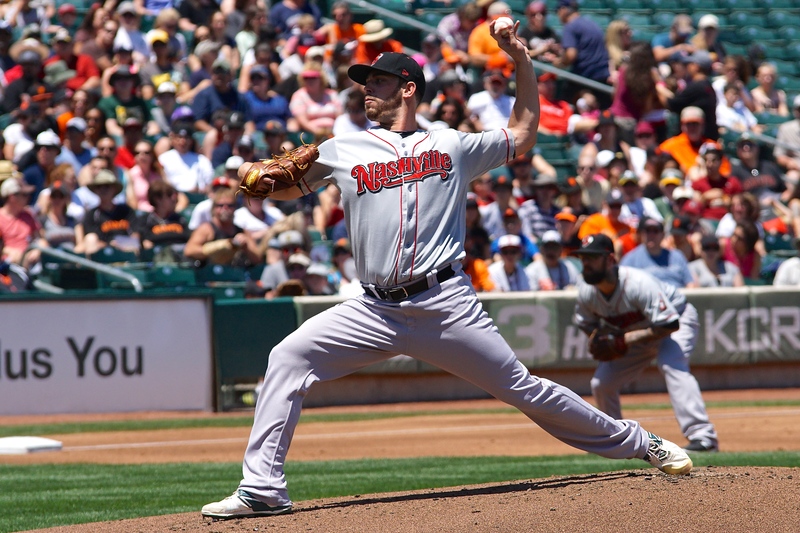 Clayton Blackburn kept the River Cats close, but the offense couldn’t find their footing as Sacramento was shut out for just the second time this season, 5-0. 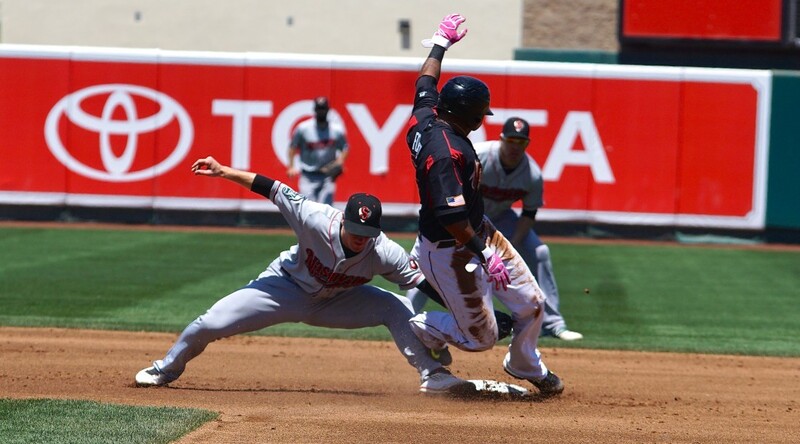 A day after recording one hit in six innings, the River Cats offense again sputtered. They scattered four hits across the first four innings and erased any potential threats by grounding into two double plays. Darren Ford was also picked off trying to steal in the first. 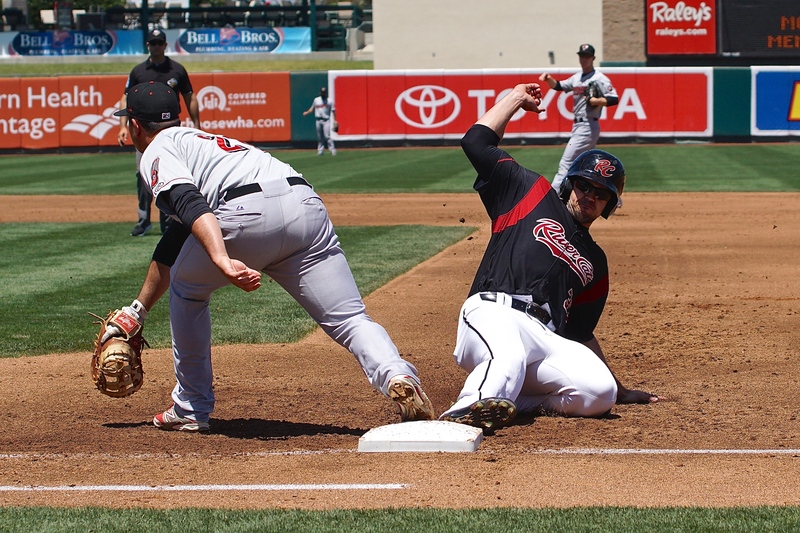 The River Cats were unable to muster any kind of offense after that, going hitless with just three baserunners – a hit by pitch, a walk, and reached on a fielder’s choice – in the fifth through ninth innings. One of Sacramento’s hits belonged to Adam Duvall, who extended his hit streak to nine games with his second-inning single. Duvall is still carrying a .322 average (15th in the PCL) through 45 games this season, to go with a league-leading 26 extra-base hits. 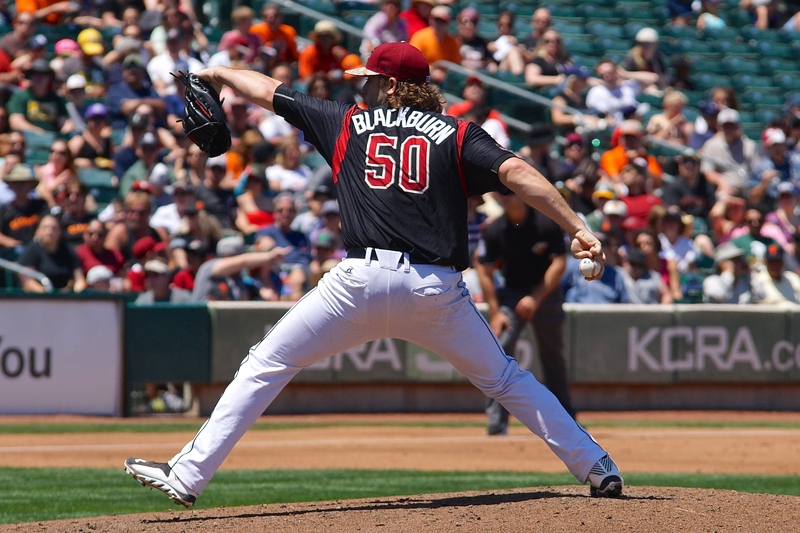 Blackburn was solid for Sacramento, keeping the River Cats in the game and really only running into trouble in the fourth inning. Two walks and two singles led to a 2-0 Nashville lead and loaded the bases, but Blackburn got the Sounds’ Joey Wendle to ground out to end the inning. He kept the Sounds scoreless otherwise before exiting after the fifth. He threw 97 pitches in the outing, 65 for strikes. The Sounds continued to add on to their lead, scoring once in the sixth and again in the seventh against River Cats’ reliever Juan Gutierrez. They knocked in their fifth run in the ninth, stretching their lead to five. First baseman and former River Cat Anthony Aliotti was 3-for-5 with 2 RBIs and a run scored for Nashville. Blackburn took the loss on the afternoon and is now 1-3 with a 5.06 ERA. Sounds’ reliever Jim Fuller (1-0) picked up the win for Nashville while Brock Huntzinger notched the three-inning save, his first of the season. 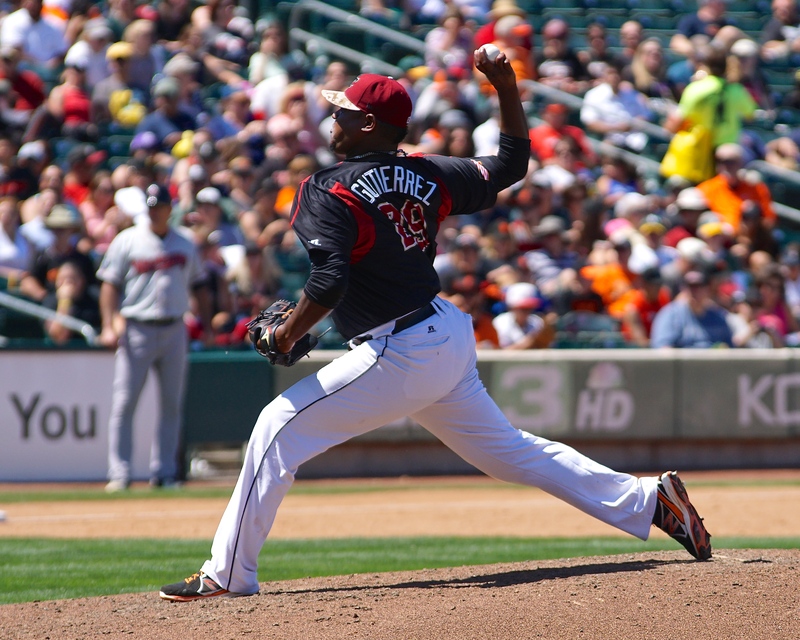 After starting the season 5-0 in day games, the River Cats have won just two of their last seven matinee contests. They’ll have another chance in Thursday’s 12:05 p.m. finale with the Sounds. Before then, the River Cats will face former Giant and River Cats star Barry Zito (1-4, 5.29) tomorrow night. The veteran lefty will be making his first start at Raley Field since 2000. Opposing him will be Sacramento’s RHP Robert Coello (5-2, 3.44) as he goes for his league-leading sixth win. First pitch is set for 7:05 p.m.